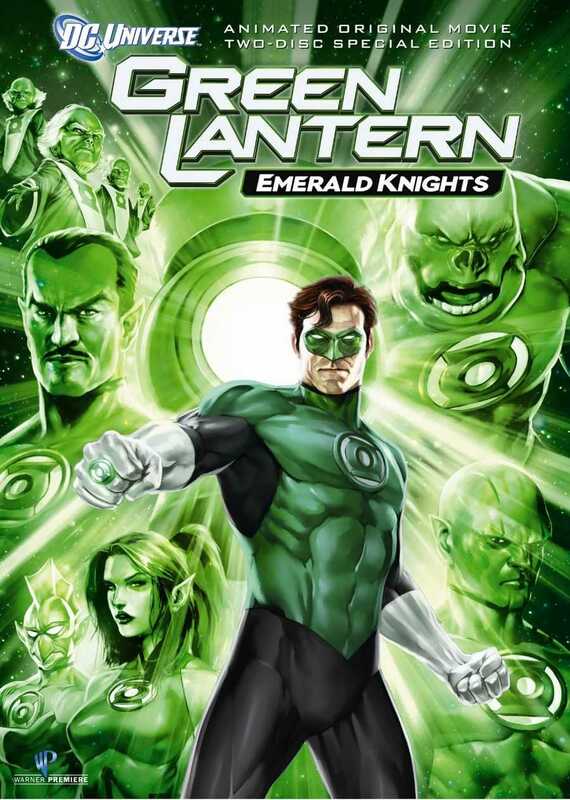 The latest DC Animated film, Emerald Knights is not just another origin story, but explores what makes some of the more famous and unusual Green Lanterns tick. We explore their stories through a new recruit, Arisia, as she is thrust into her first ever combat situation under the tutelage of Hal Jordan himself. In the final reckoning, the movie just does not hold up to the quality of First Flight, Wonder Woman, Batman/Superman: Public Enemies or some of the other ones. First off, it is not a direct sequel to First Flight itself, and seems to contain several retcons involving some of the major characters shown. Second, it is all too jumbled up and several scenes are just too boring to watch because they are so predictable and unnecessarily comical. Secondly, I know that this is all based off a comic series, but several of the character designs are just too comical and derivative, especially when two of your female leads have the same elven ears and wear short uniforms, or when there are grasshoppers and squirrels masquerading around as the galaxy’s most powerful heroes, or even some random villain who looks like The Thing, but with lava running through his body, it gets a little tiring on the eyes. Thirdly, compared to First Flight, Emerald Knights just does not hold itself well together in terms of its plot structure and content. Another great universe-destroying calamity is at hand and the Green Lanterns have to step up. /yawn Next please? 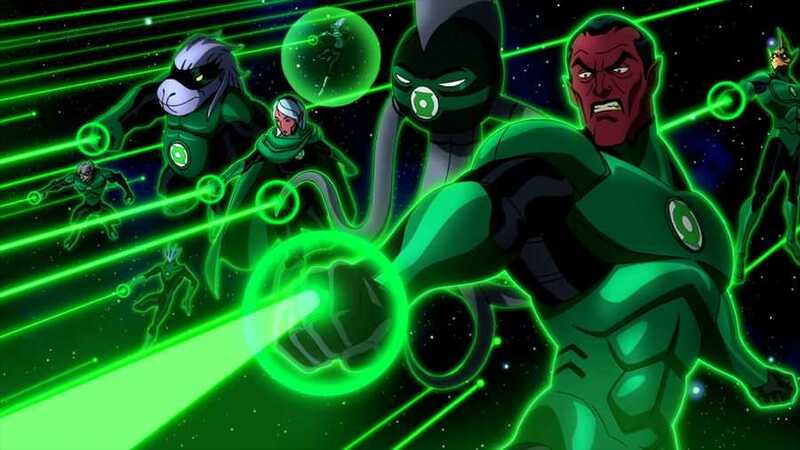 All that aside, seeing a part of the background of some of the Lanterns like Laira (which was the most tragic in my opinion), and of Sinestro (which was nearly heart-breaking) somewhat redeemed the movie. The dialogue of these same I am not familiar with the comic series Emerald Knights but the movie of the same name has proved to be quite a letdown. I could say more about how some of the locales were cool, or how the fight scenes were nice, but I am really struggling to say anything further about the movie that is positive. The film was just that disappointing and has very few redeeming features. You can perhaps already tell that from the very short review. I recommend the film only if you want to watch it for completeness, otherwise you are better off staying well away from this. More Green Lantern: First Flight. Posted on February 3, 2014, in Movie Reviews, Review Central and tagged Abin Sur, Alan Burnett, Animated Movies, Arisia, Arnold Vosloo, Boodikka, Bruce Timm, Christopher Berkeley, Dave Gibbons, DC Comics, DC Entertainment, DCAU, DCAU Spotlight, Eddie Berganza, Elisabeth Moss, Emerald Knights, Film, Geoff Johns, Green Lantern, Green Lantern Corps, Green Lantern: Emerald Knights, Green Lanterns, Hal Jordan, Jason Isaacs, Jay Oliva, Kelly Hu, Kilowogg, Laira, Lauren Montgomery, Marc Guggenheim, Michael Green, Mogo, Movie, Movie Reviews, Nathan Fillion, Peter Tomasi, Review, Roddy Piper, Science Fiction, Space Opera, Superheroes, Supervillains, Thaal Sinestro, The First Lantern, The Guardians of Oa, Todd Casey, WB Pictures. Bookmark the permalink. Leave a comment.